Tired of filling sample packs by hand? Make sample packing easy! No compressor needed, all electronic! Small size allows it be used virtually anywhere! Extremely easy to use & clean! At anytime our Smart Table Top Weighing Machine can be converted to a Fully-Automatic Packaging System, where it will Weigh, Fill & Seal your products into beautiful Flat Pouches. 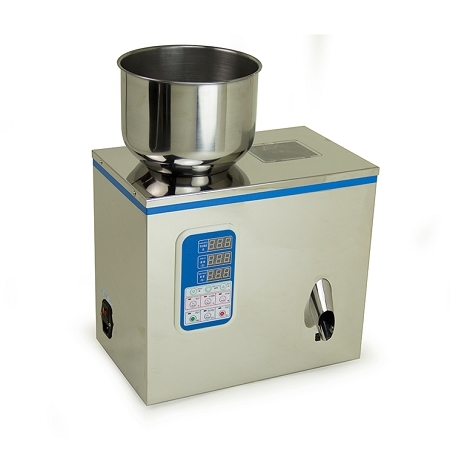 You can purchase the Auto-Bagger system that connects directly into our Smart Table Top Weighing Machine. Get more information by visiting the Auto-Bagger system page. 14.75 " x 9 " x 19"
It's everything we expected it to be and more. When we looked for a small footprint machine to weight our products in small quantities, we looked around and found this one from Sav-On bags. From the moment we took it out of the box, we were up and running real fast. Fast, accurate, easy to clean and saves a lot of time. It does a great job for even small jobs and will be a tremendous help during our busiest seasons. Q: We have been looking at a filler like this or larger for our dried blueberries. Would dried fruit flow through or does it need to be a dry powder. Could I send you a sample to test? Q: How much is the shipping cost to Puerto Rico? 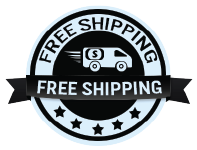 A: Please send your shipping address to jonathan@sav-onbags.com and we can provide a shipping cost, or you can add 1 piece to your shopping cart and click checkout (you do not need to actually checkout), once your on that page, it will provide you with shipping options + cost.